2015 Echo Bay IOCG Thematic Map Series; Geology, Structure and Hydrothermal Alteration of a Stratovolcano Complex, Northwest Territories, Canada; Mumin, A.H., (editor); Geological Survey of Canada, Open File 7807, pp. 19 plus 18 geological maps. 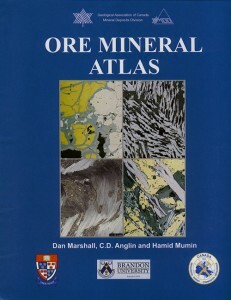 2011 Ore Mineral Atlas-2nd Edition (1rst Edition 2004); Dan Marshall, ‘Lyn Anglin and Hamid Mumin (eds. 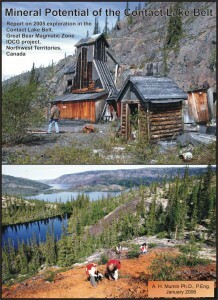 ); Geological Association of Canada, Mineral Deposits Division, 112 p. ISBN 978-0-86491-318-0. See review by Kontak, D.J., in Economic Geology, vol 100-6. p. 1262. 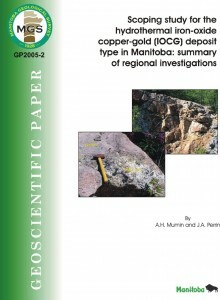 2010 Exploring for Iron Oxide Copper-Gold Deposits: Canada and Global Analogues; Corriveau, L. and Mumin, A.H., (eds. ); Geological Association of Canada, GAC Short Course Notes 20, 192 p, ISBN 978-1-897095-47-8. See review by Rusk, B., in Economic Geology, vol 107-5. p. 1077. 2005 Scoping study for hydrothermal iron-oxide copper-gold (IOCG) deposit type in Manitoba: summary of regional investigations; Mumin, A.H. and Perrin, J.; Geoscientific Paper GP2005-2, Manitoba Industry, Trade and Mines, Manitoba Geological Survey, 38 p.
2016 Chakhmouradhian, A., Reguir, E., Zaitsev, A., Coueslan, C., Xu, C., Kynicky, J., Mumin., H. and Yang, Panseok. ; Apatite in carbonatitic rocks: Compositional variation, zoning, element partitioning and petrogenetic significance. LITHOS, submitted. 2016 Mumin, A.H. and Prikhodko, A.; Response and Interpretation of Variable Time Domain Geophysical Signatures from Varying Massive Sulphide Morphologies. CIM Journal, submitted. 2016 Ootes, L., Snyder, D., Davis, W.J., Acosta-Góngora, P., Corriveau, L., Mumin, A.H., Gleeson, S.A., Samson, I.M., and Jackson, V.A. ; A Paleoproterozoic Cordilleran-type iron oxide copper-gold environment, the Great Bear magmatic zone, Northwest Territories, Canada. Ore Geology Reviews, submitted. 2016 Richards, J.P., Lopez, G.P., Zhu, J., Creaser, R.A., Locock, A.J., and Mumin, A.H.; Contrasting tectonic settings and sulfur contents of magmas associated with Cretaceous porphyry Cu-Au and magmatic-hydrothermal ironoxide-Cu-Au deposits in northern Chile. Economic Geology, submitted. 2014 Mumin , A.H., Phillips, A., Katsuragi, C.J., Mumin, A and Ivanov, G.; Geotectonic Interpretation of the Echo Bay Stratovolcano Complex, Northern Great Bear Magmatic Zone, Northwest Territories. Northwest Territories Geological Survey, Open File 2014-04, 25p. 2014 Somarin, A.K. and Mumin A.H.; P-T-composition and evolution of paleofluids in the Paleoprotoerozoic Mag Hill IOCG system, Contact Lake belt, Northwest Territories, Canada. Mineralium Deposita, Vol 49-2, p. 199-215. 2013 Richards, J.P. and Mumin A.H.; Lithospheric fertilization and mineralization by arc magmas: Genetic links and secular differences between porphyry copper±molybdenum±gold and magmatic-hydrothermal iron oxide copper-gold deposits. In Colpron, M., Bissig, T., Rusk, B.G., and Thompson, J.F.H. (eds. ); Tectonics, Metallogeny, and Discovery: The North American Cordillera and Similar Accretionary Settings. Society of Economic Geologists, Special Publication 17, 277-299. 2013 Richards, J.P. and Mumin A.H.; Magmatic-hydrothermal processes within an evolving Earth: Iron oxide-copper-gold and porphyry Cu±Mo±Au deposits. GEOLOGY, Vol 41, No. 7, p. 767-770. 2012 Somarin, A.K. and Mumin A.H.; The Paleo-Proterozoic high heat production Richardson Granite, Great Bear Magmatic Zone, Northwest Territories, Canada: Source of U for Port Radium? Resource Geology, Vol 62, No. 3, p. 227-242. 2010 Mumin, A.H., Somarin, A.K., Jones, B., Corriveau, L., Ootes, L. and Camier, J.; The IOCG-porphyry-epithermal continuum in the Great Bear Magmatic Zone, Northwest Territories, Canada. In Corriveau, L. and Mumin, A.H., (eds. ); Exploring for Iron Oxide Copper-Gold Deposits: Canada and Global Analogues; Geological Association of Canada, GAC SCN 20, 59-78. 2010 Couriveau, L., Mumin, H. and Setterfield, T.; IOCG environments in Canada: Characteristics and geological vectors to ore. In Porter, T.M., (ed. ); Hydrothermal Iron Oxide Copper-Gold and Related Deposits, Vol. 3, PGC Publishing, in press. 2010 Ootes, L., Goff, S., Jackson, V.A., Gleeson, S., Creaser, R.A., Samson, I., Evensen, N., Corriveau, L. and Mumin, A.H.; Timing and thermochemical constraints on multi-element mineralization at the Nori/RA Cu-Mo-U prospect, Great Bear magmatic zone, Northwest Territories, Canada. Mineralium Deposita. 2010 Corriveau, L. and Mumin, A.H.; Exploring for iron oxide copper-gold (Ag-Bi-Co-U) deposits: Case examples, classification and exploration vectors. In Corriveau, L. and Mumin, A.H., (eds. ); Exploring for Iron Oxide Copper-Gold Deposits: Canada and Global Analogues; Geological Association of Canada, GAC SCN 20, 1-12. 2010 Corriveau, L., Williams, P.J. and Mumin, H.; Alteration vectors to IOCG mineralization – from uncharted terranes to deposits. In Corriveau, L. and Mumin, A.H., (eds. ); Exploring for Iron Oxide Copper-Gold Deposits: Canada and Global Analogues; Geological Association of Canada, GAC SCN 20, 89-110. 2007 Mumin, A.H., Scott, S.D., Somarin A.K, and Oran, K.; Structural controls on massive sulfide deposition and hydrothermal alteration in the south Sturgeon Lake Caldera, Northwestern Ontario. 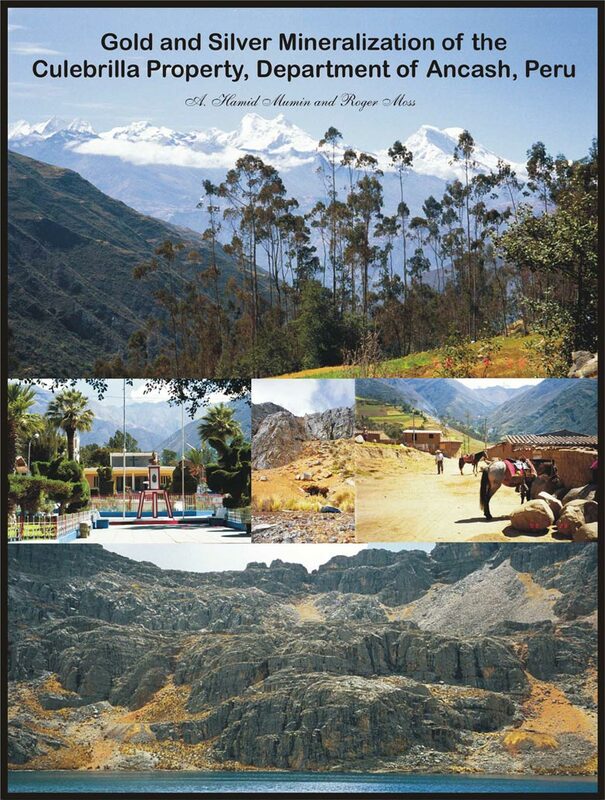 Exploration and Mining Geology, Vol 16, No. 1-2, p. 83-107. 2007 Mumin, A.H., Corriveau, L., Somarin, A.K. and Ootes, L.; Iron Oxide-Copper-Gold-type polymetallic mineralization in the Contact Lake Belt, Great Bear Magmatic Zone, Northwest Territories, Canada. 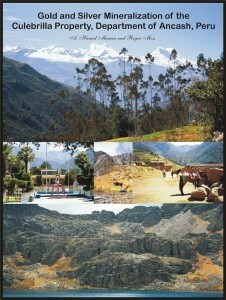 Exploration and Mining Geology, Vol. 16, No. 3-4, p. 187-208. 2007 Corriveau, L., Ootes, L., Mumin, H., Jackson, V., Bennet, V., Cremer, J.-F., Rivard, B., McMartin, I., and Beaudoin, G.; Alteration vectoring to IOCG/U deposits in frontier volcano-plutonic terrains, Canada. In Proceedings of Exploration 07, B. Milkereit, ed., Fifth Decennial International Conference on Mineral Exploration, p. 1171-1177. 2004 Mumin, A.H. and Corriveau, L.; Eden deformation corridor and polymetallic mineral belt, Trans-Hudson Orogen, Leaf Rapids area, Manitoba (NTS 64B and 64C); In Report of Activities 2004, Manitoba Industry, Trade and Mines, Manitoba Geological Survey, p. 69-91. 2003 Mumin, A.H., and Trott, M.; Hydrothermal iron-sulphide copper-graphite mineralization in the northern Kisseynew Domain, Trans-Hudson Orogen, Manitoba (NTS 63O and NTS 64B): evidence for deep-seated IOCG (Olympic Dan)-style metal deposition? In Report of Activities 2003, Manitoba Industry, Trade and Mines, Manitoba Geological Survey, p. 79-85. 2002 Mumin, A.H.; Scoping study for hydrothermal iron-oxide copper-gold deposits (Olympic Dam-type), Manitoba; In Report of Activities 2002, Manitoba Industry, Trade and Mines, Manitoba Geological Survey, p. 303-308. 2002 Mumin, A.H.; Discovery of a carbonatite complex at Eden Lake (NTS 64 C9), Manitoba;. In Report of Activities 2002, Manitoba Industry, Trade and Mines, Manitoba Geological Survey, p. 187-197. 2000 Goad, R.E., Mumin, A.H., Duke, N.A., Neale, K.L. and Mulligan, D.L. ; Geology of the Proterozoic Iron Oxide-Hosted, NICO Cobalt-Gold-Bismuth, and Sue-Dianne Copper-Silver Deposits, Southern Great Bear Magmatic Zone, Northwest Territories, Canada. In Porter, T.M., (ed. ); Hydrothermal Iron Oxide Copper-Gold and Related Deposits, A Global Perspective, Australian Mineral Foundation, p 249-268. 2000 Goad, R.E., Mumin, A.H., Duke, N.A., Neale, K.L., Mulligan, D.L. and Camier, W.J. ; The NICO and Sue-Dianne Proterozoic, Iron-oxide-hosted Polymetallic Deposits, Northwest Territories: Application of the Olympic Dam Model in Exploration. Exploration and Mining Geology, 9-2, p. 123-140. 1998 Goad, R.E., Mumin, A.H., Duke, N.A., Neale, K.L., Mulligan, D.L. and Camier, W.J. ; The NICO and Sue-Dianne Proterozoic iron-oxide-hosted polymetallic deposits, southern Great Bear Magmatic Zone, Northwest Territories, Canada – Application of the Olympic Dam model. 100th Annual General Meeting of the Canadian Institute of Mining, Metallurgy and Petroleum, Montreal, May 1998, Conference volume on CD-ROM. 1997 Fleet, M.E. and Mumin, A.H.; Gold-bearing arsenian pyrite and marcasite and arsenopyrite from Carlin-Trend gold deposits and laboratory synthesis. American Mineralogist, 82: 182-193. 1996 Mumin, A.H., Fleet, M.E. and Longstaffe, F.J.; Evolution of hydrothermal fluids in the Ashanti Gold Belt, Ghana: Stable isotope geochemistry of carbonates, graphitic material and quartz. Economic Geology, 91: 135-148. 1995 Mumin, A.H. and Fleet, M.E. ; Evolution of gold mineralization in the Ashanti Gold Belt, Ghana: evidence from carbonate compositions and parageneses. Mineralogy and Petrology, 55: 265-280. 1994 Mumin, A.H., Fleet, M.E. and Chryssoulis, S.L. ; Gold mineralization in As-rich mesothermal gold ores of the Bogosu-Prestea mining district of the Ashanti Gold Belt, Ghana: Remobilization of “invisible” gold. Mineralium Deposita, 29: 445-460. 2015 Hamilton, M., and Mumin., A.H.; Geology, structure and alteration of the Mazennod Lake region, Great Bear Magmatic Zone, NWT. 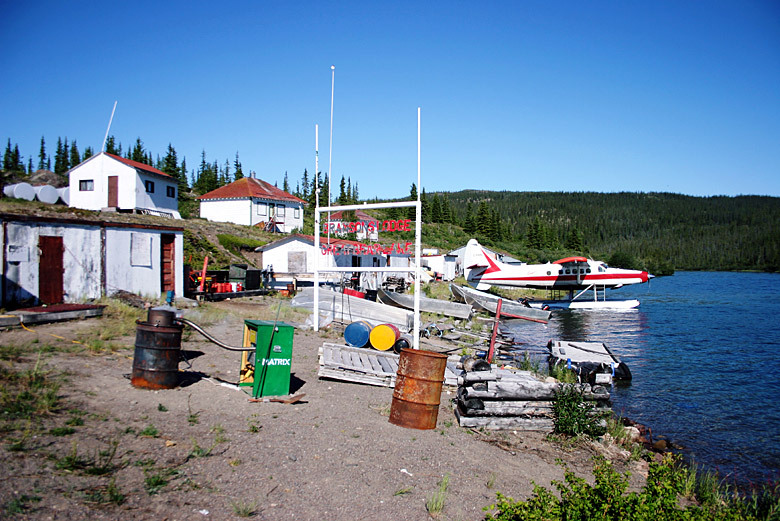 Yellowknife Geoscience Forum, Program with Abstracts, November 2015. 2014 Mumin, H., and Richards, J.P.; Nature’s diabolic transition from magmatic-hydrothermal iron oxide copper-gold to porphyry Cu + Au + Mo deposits: secular evolution of atmosphere, ocean and lithosphere chemistry and geothermal gradient. GAC-MAC Annual Meeting, Fredericton, N.B., Program with Abstracts. 2014 Hamilton, M., Mumin, A.H., Ryan, S., and Schmyr, J.; Iron oxide copper-gold systems of the Mazenod Lake region, Great Bear Magmatic Zone, NWT. GAC-MAC Annual Meeting, Frederiction, N.B., Program with Abstracts. 2013 Richards, J.P., and Mumin, A.H.; Porphyry Cu±Mo±Au and IOCG deposits in continental interiors. First Joint Scientific Meeting of the Geological Society of China and the Geological Society of America. Chengdu, China, June 2013. 2013 Mumin, H., and Richards, J.P.; Evolution of magmatic-hydrothermal ore systems in response to secular changes in sulphur, oxygen, biospheric processes and geothermal gradients from the Archean to the present. GAC-MAC Annual Meeting, Winnipeg, Manitoba, Program with Abstracts, p, 149. 2013 Somarin, A.K., and Mumin, A.H.; Thermometric studies of the Mag Hill IOCG system, Contact Lake belt, Northwest Territories, Canada. GAC-MAC Annual Meeting, Winnipeg, Manitoba, Program with Abstracts, p, 181. 2013 Chakhmouradian, A.R., Reguir, E.P., Ballantine, N.G., Yang, P., and Mumin A.H.; Evolution of granitic pegmatites at Eden Lake (northern Manitoba): Evidence from accessory rare-earth-bearing minerals. GAC-MAC Annual Meeting, Winnipeg, Manitoba, Program with Abstracts, p, 78. 2013 Richards, J.P., and Mumin, A.H.; Lithospheric fertilization and mineralization by arc magmas: Genetic links and secular differences between porphyry copper±molybdenum±gold and iron oxide-copper-gold deposits. SEG Whistler 2013: Geoscience for Discovery, abstract. 2013 Mumin, A.H. and Richards, J.P.; A secular solution to a diabolical problem: Porphyry vs. iron oxide-copper-gold deposits. Goldschmidt Conference abstracts, Mineralogical Magazine, vol 77-5, p. 1807. 2012 Mumin, H., and Richards, J.P.; Subduction-modified lithosphere as a source for a spectrum of distal- to post-subduction magmatic-hydrothermal Cu-Au-Mo-Fe deposits: Porphyries to IOCGs. Geological Society of America, Charlotte, North Carolina, Annual Meeting, Program with Abstracts, Paper no. 213-6 (online). – Logan Club Lecture Series, Geological Survey of Canada, Natural Resources Canada, Ottawa, December 5th, 2011. 2011 Mumin, A.H.; Geotectonic setting of Iron Oxide Copper-Gold Deposits in the Great Bear Magmatic Zone, Northwest Territories. GAC-MAC-SEG-SGA Joint Annual Meeting, Ottawa, Ontario, May 2011, Program with abstracts. 2011 Chakhmourdian, A.R., Bohm, C.O., Coueslan, C.G., Mumin, A.H., Reguir, E.P., Demeny, A., Simonetti, A., Kressall, R.D., Martins, T., Kamenov, G.D., Creaser, R.A., and Lepekhina, E.N. ; Postorogenic Carbonatites: more abundant than we realize and more important than given credit for. Goldschmidt Conference Workshop 2011, Tubingen, extended abstract. 2011 Corriveau, L., Mumin, H., and Montreuil, J.-F.; The Great Bear Magmatic Zone (Canada): The IOCG spectrum and related deposit types. SGA 11th Biennial Meeting, Antofagasta Chile, Sept 26-29, transactions paper. 2011 Corriveau, L., Montreuil, J.-F., Mumin, H. and Potter, E.; Delineation of fluid pathways in magnetite- to hematite-group IOCG systems in the Great Bear Magmatic Zone (NWT, Canada) using the IOCG alteration to brecciation and mineralization zoning model. Cordilleran Roundup, Vancouver, January 2011, poster and abstract. 2011 Corriveau, L., Montreuil, J.-F. et Mumin, H.; Le modele de zonation alteration-brechification-mineralisation pour les gites a cuivre-or oxydes de fer (IOCG) et l’application au Quebec des cas d’etudes de la zone magmatique du Grand Lac de l’Ours. Prospectors and Developers Association of Canada, Northern Session. 2009 Mumin, A.H., Phillips, A., Katsuragi, C.J. and Mumin, A.; Oblique extension, tectonics and mineral deposition, Great Bear Magmatic Zone, NWT, Canada. Northwest Territories Geoscience Forum, Yellowknife, November 2009, Program with abstracts. 2009 Corriveau, L., Setterfield, T. and Mumin, H.; IOCG Environments in Canada: Characteristics and Vectors to Ore. Society for Geology Applied to Mineral Deposits, Townsville, August 2009, transactions paper. 2009 Mumin, A.H.; Hydrothermal iron oxide copper-gold (IOCG) deposit type overview and implications for exploration in Canada. Invited Speaker, North Eastern Ontario Mines and Minerals Symposium, April 2009, Kirkland Lake, Ontario. 2009 Corriveau, L. and Mumin, A.H.; Exploring for Iron oxide copper-gold (Ag-Bi-Co-U) deposits): case examples, classification and exploration vectors. Northwest Territories Geoscience Forum, Yellowknife, November 2009, Program with abstracts. 2009 Somarin, A.K., and Mumin, H.,. Review of IOCG style polymetallic mineralization in a volcanic arc setting of the Contact Lake Belt, Northwest Territories, Canada. 22nd International Mining Congress Antalya, Turkey, extended abstract, May 2009. 2009 Corriveau, L., McMartin, I., Bleeker, W., Jackson, V.A., Montreuil, J.-F., Mumin, H., Harvey, B., Kiss, F. and Carson, J.; The IOCG multiple metals – Great Bear region (NWT) project, geomapping for energy and minerals program: field results, status and progress. Northwest Territories Geoscience Forum, Yellowknife, November 2009, Program with abstracts. 2008 Corriveau, L., Jackson, V.A., Mumin, H., McMartin, I. and Bleeker, W.; Reaching out with Sciences: Why we are so keen on potential iron oxide copper-gold deposits in the Great Bear Lake Area, NT. Northwest Territories Geoscience Forum, November 2008, Program with abstracts. 2008 Corriveau, L., Mumin, H., Jackson, V.A., Ootes, L., McMartin, I., Bleeker, W., Pelleter, E. and Neale, L.; Validation of the iron oxide copper-gold deposit model for The Great Bear Magmatic Zone: From known deposits to virgin territories. Northwest Territories Geoscience Forum, November 2008, Program with abstracts. 2008 Breen, W.R. and Mumin, A.H.; Geology of the Port Radium iron-vanadium deposits, Great Bear Magmatic Zone, Northwest Territories, Canada. Northwest Territories Geoscience Forum, November 2008, Program with abstracts. 2008 Ootes L., Goff, S., Gleeson, S., Jackson, V., Creaser, R., Evensen, N., Samson, I., Corriveau L. and Mumin, A.H.; Field relationships, petrography, chronology, and fluid character of the Nori/RA Cu-Mo-U (± Ree & W) Prospect: An ‘Early’ IOCG Example in the Great Bear Magmatic Zone? Northwest Territories Geoscience Forum, November 2008, Program with abstracts. 2008 Corriveau, L. and Mumin, H.; The extraordinary range of IOCG polymetallic mineral deposits: examples from the Great Bear Magmatic Zone, NT, Canada. GAC-MAC Annual Meeting, Quebec City, Quebec, May 2008, Program with abstracts. 2008 Somarin, A.K. and Mumin, H.; Geochemical evidence of a mafic contribution to IOCG style hydrothermal systems: evidence from the K2 system, Great Bear Magmatic Zone, Northwest Territories. GAC-MAC Annual Meeting, Quebec City, Quebec, May 2008, Poster and abstract. 2008 Somarin, A.K. and Mumin, A.H.; Geochemical source and distribution of metals and alkalies in high-temperature magnetite-actinolite hydrothermal alteration at Port Radium, Echo Bay district, Great Bear Magmatic Zone, Northwest Territories, Canada. GAC-MAC Annual Meeting, Quebec City, Quebec, May 2008, Poster and abstract. 2008 Ootes, L., Mumin, H., Goff, S., Corriveau, L., Harris, J. and Jackson, V.; Uranium in the Great Bear Magmatic Zone, NWT: metallogenic evolution and applications to mineral exploration. GAC-MAC Annual Meeting, Quebec City, Quebec, May 2008, Program with abstracts. 2007 Mumin, A.H. and Corriveau, L.; An IOCG – porphyry copper – epithermal continuum revealed: polymetallic mineralization in the Echo Bay andesitic stratovolcano complex, Great Bear Lake, Northwest Territories. Geological Association of Canada-Mineral Deposits Division, May 2007, Program with abstracts. Julian Boldy Award for best mineral deposits paper presented. 2007 Mumin, A.H., Somarin, A.K., Corriveau, L. and Arbuckle, B.; IOCG, Porphyry, Skarn and Epithermal Styles of Mineralization in the Echo Bay Andesite Stratovolcano Complex, Northwest Territories. GAC-MAC, Yellowknife, May 2007, Program with abstracts and poster. 2007 Corriveau, L. and Mumin, H,; Looking for atypical mineral potential – the role of Iron Oxide Copper-Gold (Uranium) deposits in sustainable resource development in Canada. GAC-MAC, Yellowknife, May 2007, Program with abstracts (submitted). 2007 Corriveau, L., Mumin, H, Robinson, G, and Ootes, L.; Alteration vectoring and practical guides for IOCG-U exploration in under explored terranes: Insights from the Great Bear Magmatic Zone. GAC-MAC, Yellowknife, May 2007, Program with abstracts (submitted). 2007 Corriveau, L., Mumin, H., Ootes, L., Jackson, V., Goff, B., Rivard, B., Robinson, G., Antonoff, V., Francus, P. and Cremer, J.F. ; Development of new IOCG vectors and their application – TGI 3 Deep Search, Natural Resources Canada. Poster and abstract, Prospectors and Developers Association of Canada International Conference, Toronto, March 2007. 2006 Mumin A.H.; IOCG polymetallic and uranium exploration in the Port Radium-Echo Bay-Contact Lake district, Great Bear Lake, NWT. Yellowknife Geoscience Forum, program with abstracts. 2006 Corriveau, L. and Mumin, H,; Vectoring concepts and practical guides for IOCG-U exploration in greenfield terranes: insights from the Great Bear Magmatic Zone. Yellowknife Geoscience Forum, program with abstracts. 2006 Corriveau, L. and Mumin, H.; Iron Oxide Copper-Gold Deposits: A Canadian perspective as introductory remarks to the Special Session. Yellowknife Geoscience Forum, program with abstracts. 2006 Rivard, B., Mumin, H., Corriveau, L. and Rogge, D.; Spectral signatures (0.4-2.5 um) of IOCG alteration assemblages, Contact Lake. Yellowknife Geoscience Forum, program with abstracts. 2006 Cremer, Jean-Francois, Corriveau, L, Francus, P, Antonoff, V., and Mumin, H.; ITRAXTM Core Scanner: a cutting-edge analytical tool to refine alteration vectors to IOCG and other deposit type mineralization. Yellowknife Geoscience Forum, program with abstracts. 2006 Corriveau, L., Mumin, A.H., Ootes, L. and Landry, J.-Y. ; Alteration mapping as vectors towards iron oxide Cu-Au (Ag-U-Co-Bi) mineralization in greenfield exploration settings: case examples from the Great Bear Magmatic Zone, Northwest Territories. GAC-MAC, Montreal, Program with abstracts. 2006 Mumin, A.H.; Magmatic-Hydrothermal Iron-oxide Cu-Au-Ag-U Deposits. Geological Association of Canada, Newfoundland-Labrador Division Annual Meeting, Program with abstracts, St. Johns, NL. 2006 Chakhmouradian, A.R., Mumin, A.H., Elliott, B., Demeny, A., Martin, R., Halden, N.M., Ballantine, N.G. and Yang, P.; Off-craton carbonatites at Eden Lake, northern Manitoba: A Preliminary Report. GAC-MAC, Montreal, Program with abstracts. 2006 Corriveau, L., Mumin, A.H., Ootes, L. and Landry, J.-Y. ; Field vectors to prospective iron oxide Cu-Au (Ag-U-Co-Bi) mineralizing systems: case examples form the Great Bear Magmatic Zone, Northwest Territories. Poster with abstract, Cordilleran Round-up, Vancouver. 2005 Mumin, A.H., Corriveau, L., Lehmann, J., Perrin, J., Elliott, B., Arbuckle, B. and Ootes, L.; Iron-oxide Cu-Au-Ag-U-Co-Bi mineralized systems of the Contact Lake Belt, Great Bear Magmatic Zone, NWT. Yellowknife Geoscience Forum, Poster with abstracts. 2005 Corriveau, L. and Mumin, A.H.; Prospective iron oxide Cu-Au (Ag-U-Co-Bi-Ni) systems along the 400 km Great Bear Magmatic Zone, Wopmay Orogen, Northwest Territories. Yellowknife Geoscience Forum, Program with abstracts. 2005 Mumin, A.H.; Hydrothermal Iron-oxide copper-gold potential of the Trans-Hudson Orogen. Abstract and talk, Manitoba Mining and Minerals Convention, Winnipeg, Nov. 2005. 2005 Mumin, H.; IOCG mineralization potential in the Trans-Hudson Orogen of Manitoba, Canadian Institute of Mining, Metallurgy and Petroleum “Mining Rocks”, Program with abstracts, Toronto, April, 2005, p.97. 2003 Ruff, E.C., Mumin, A.H., Webb, D.R. and Piercey-Normore, M.D. ; Discovery of Porpidia “URSUS”: metal indicator lichens in the Great Bear Magmatic Zone, NWT. GAC-MAC-SEG Program with abstracts, Vancouver, pp. 148-149. 2003 Mumin, A.H.; Advancements at Eden Lake and the new South Bay Ni-Cu-Co-PGE discovery. Abstract and talk, Manitoba Mining and Minerals Convention, Winnipeg, Nov. 2003. 2002 Norman, P.E. and Mumin, A.H.; Iron Deposits of the southern Great Bear Magmatic Zone, Northwest Territories, Saskatoon 2002, GAC-MAC Annual Meeting, Program with abstracts, p. 82. 2002 Mumin, A.H.; The Eden Lake carbonatite complex: A new discovery. Abstract and talk, Manitoba Mining and Minerals Convention, November 2002. 2002 Mumin, A.H. and Camier, W.J. ; The rare earth element carbonatite complex at Eden Lake, Manitoba. Abstract and poster, Manitoba Mining and Minerals Convention, Winnipeg, Nov. 2002. 2002 Ruff, E.C., Mumin, A.H., Webb, D.R. and Piercey-Normore, M.D. ; Discovery of Porpidia “URSUS”: Metal indicator lichens in the Great Bear Magmatic Zone, NWT. Poster and abstract, Geoscience Forum, Yellowknife, N.W.T., November 2002. 2002 Mumin, A.H.; Extending the Canadian Resource base through new deposit types: The case for Fe-oxide-hosted Cu-Au and polymetallic deposits. Exploration and Mining Geology, v. 10, no. 1-2, p. 148. 2002 Mumin, A.H.; Extending the Canadian Resource base through new deposit types: The case for Fe-oxide-hosted Cu-Au and polymetallic deposits. Abstract and talk, Sustainable Mining in the 21st Century, A workshop for Geoscientists, Vancouver, p. 13. 2000 Mumin, A.H. and Camier, W.J. ; Proterozoic Fe-oxide hosted polymetallic mineralization associated with the Marion River Batholith, southern Great Bear Magmatic Zone, Northwest Territories. GAC-MAC-CSPG GeoCanada 2000, extended abstract, Calgary, June 2000. 2000 Camier, W.J., Mumin, A.H., Walden, J. and Duke, N.A. ; Genesis of the Proterozoic Sue-Dianne Cu-Ag-Au-Fe-oxide breccia complex, Mazenod Lake District, Northwest Territories. Submitted to GAC-MAC-CSPG GeoCanada 2000, extended abstract, Calgary, June 2000. 2000 Mumin, A.H., Norman, P.E., Goad, R.E. and Camier, W.J. ; Metallogeny of the Proterozoic southern Great Bear Magmatic Zone. 28th Yellowknife Geoscience Forum, Program and Abstracts, p. 56-57. 2000 Goad, R.E., Neale, K.L., Mulligan, D.L., Duke, N.A. and Mumin, A.H.; Geology and progress report on the NICO cobalt-gold-bismuth, and Sue-Dianne copper-silver deposits, southern Great Bear Magmatic Zone, Northwest Territories, Canada. 28th Yellowknife Geoscience Forum, Program and Abstracts, p. 27-28. 2000 Webb, D.R. and Mumin, A.H.; Porphyry-related cobalt-copper-gold mineralization in the Great Bear Lake area of the northern Great Bear Magmatic Zone, NWT. 28th Yellowknife Geoscience Forum, Program and Abstracts, p. 86-87. 2000 Mumin, A.H.; A Mineral-Resource and Mining-Feasibility Study Project for Advanced Students. Journal of Geoscience Education, vol. 48-5, p. 590. 2000 Walden, J., Mumin, A.H. and Camier, W.J. ; Mineralogy of the Sue-Dianne Cu-Ag-Fe-oxide deposit, southern Great Bear Magmatic Zone, Northwest Territories. Abstract WIUGC Conference, January 2000. 1999 Goad, R.E., Mumin, A.H., Neale, K.L., and Mulligan, D.L. (Fortune Minerals); The NICO and Sue-Dianne Proterozoic, Fe-oxide-hosted polymetallic deposits, southern Great Bear Magmatic Zone, Northwest Territories – Deposit model development in global mineral exploration. Abstract and display, Prospectors and Developers Association of Canada Annual Convention and International Trade Show, “Core Shack”, Toronto, Canada. 1998 Goad, R.E., Duke, N.A., Mumin, A.H., Neale, K.L., and Mulligan, D.L. ; The NICO and Sue-Dianne Proterozoic iron oxide-hosted polymetallic deposits, southern Great Bear Magmatic Zone, Northwest Territories, – A summary of current work and deposit model development in global mineral exploration. Geoscience Forum, Exploration Overview 1998, Yellowknife, N.W.T., program with abstracts. 1998 Mumin, A.H., Walden, J. and Goad, R.E. ; The Sue-Dianne Cu-Ag-Au Fe-oxide rich breccia complex, Mazenod Lake area, Northwest Territories. Geoscience Forum, Exploration Overview 1998, Yellowknife, N.W.T., abstract and display. 1997 Mumin, A.H. and Goad, R.E. ; Discovery of the Bowl Zone: a major polymetallic base and precious metals deposit on the NICO property, Southern Great Bear Magmatic Zone, Northwest Territories, Canada. Prospectors and Developers Convention, Open Forum, Toronto, March 1997, program with abstracts. 1997 Mumin, A.H.; Early Proterozoic Birimian Au mineralization of the Bogosu and Prestea districts of the Ashanti Au Belt, Ghana, West Africa. Abstract, CIM Bulletin, Vol. 90 No. 1007: p 104. 1996 Mumin, A.H., Camier, W.J., Goad, R.E. and Mulligan, D.L. ; Geology and alteration of the Bowl Zone Co-Bi-Cu-Au-As deposit, southern Great Bear Magmatic Zone, N.W.T. GAC-MAC Joint Annual Meeting, program with abstracts, Winnipeg, May 1996, v. 21. 1996 Fleet, M.E. and Mumin, A.H.; Mesothermal gold deposits of the Ashanti Gold Belt, Ghana. SME-SEG Annual Meeting, abstract, Phoenix, March 1996. 1995 Mumin, A.H, and Goad, R.E. ; Cu-Co-Bi-Au-Pb-Zn-Ni-As-W and Fe-oxide mineralization in the southern Great Bear Magmatic Zone, N.W.T. Geoscience Forum, Exploration Overview 1995, N.W.T., program with abstracts, Yellowknife, November, 1995. 1995 Mumin, A.H. and Fleet, M.E. ; Mesothermal gold deposits of the Ashanti Gold Belt, Ghana. CIM Geological Society Field Conference, abstract, Yellowknife, September, 1995. 1995 Mumin, A.H. and Fleet, M.E. ; Gold Distribution Patterns Within Lode Gold Deposits of the Ashanti Gold Belt, Ghana. Prospectors and Developers Convention, Open Forum, Toronto, March 1995, extended abstract. 1995 Fleet, M.E. and Mumin, A.H.; Gold-Bearing Sulfides and Sulfarsenides. GAC-MAC Joint Annual Meeting, Victoria, program with abstracts, v. 20. 1994 Mumin, A.H. and Scott, S.D. ; Structural and hydrothermal controls on massive sulphide deposition in the south Sturgeon Lake volcanic pile, Northwestern Ontario. Volcanogenic Massive Sulphide Deposits, CIM Seminar, Thunder Bay, Ontario, abstract. 1994 Mumin, A.H., Fleet, M.E. and Longstaffe, F.J.; Evolution of hydrothermal fluid in the Ashanti Gold Belt, reconstructed from carbonate mineralogy and stable isotope geochemistry of carbonate, quartz and graphite. GAC-MAC Joint Annual Meeting, Waterloo, program with abstracts, v. 19. 1994 Mumin, A.H., Fleet, M.E. and Chryssoulis, S.L. ; Remobilization of “invisible” gold in turbidite-hosted, As-rich gold ores of the Ashanti Gold Belt, Ghana. GAC-MAC Joint Annual Meeting, Waterloo, program with abstracts, v. 19. 1991 Mumin, A.H. and Scott, S.D. ; Tectonic and structural controls on massive sulphide deposition in the South Sturgeon Lake volcanic pile, Northwestern Ontario: Implications for exploration. GAC-MAC-SEG Joint Annual Meeting, Toronto, program with abstracts, v. 16. 1991 Mumin, A.H., Scott, S.D. and Smith, B.M. ; Metamorphosed and hydrothermally altered rocks of the Lyon Lake Archean, volcanogenic massive sulphide ore deposits, Sturgeon Lake, Northwestern Ontario. GAC-MAC-SEG Joint Annual Meeting, Toronto, program with abstracts, v. 16. 1991 Mumin, A.H.; Geology of a gold-bearing “crush zone” in the Ashanti Gold Belt, Ghana, West Africa. CCGC, Hamilton, program with abstracts. 1988 Mumin, A.H., Clarke, G.A., Flach, G.A. and Badu, F.; Geology and mineralogy of gold mineralization at the Bogosu Concession, Western Region, Ghana. International Conference and Workshop on the Geology of Ghana with Special Emphasis on Gold, Commemorating the 75th Anniversary of the Ghana Geological Survey Department, Accra, Ghana, program with abstracts. 1986 Mumin, A.H., Scott, S.D. and Bryndzia, L.T. ; Alteration of footwall felsic volcanic rocks beneath the Lyon Lake Archean volcanogenic massive sulphide deposits, N. W Ontario. GAC-MAC Joint Annual Meeting, Ottawa, program with abstracts, v. 11. 2013 Richards, J.P., and Mumin, A.H.; A Secular Explanation for the diabolical porphyry-IOCG conundrum? “Atlas Talk Series”, University of Alberta, February 13, 2013. 2011 Mumin, A.H.; Colliding Continents, Ancient Volcanos, Awesome Fiords, Future Resources and Modern Intrigue: The Great Bear Magmatic Zone, Northwest Territories. – Brandon University Science Seminar Series, January 26, 2011. – University of New Brunswick, November 8th, 2011. 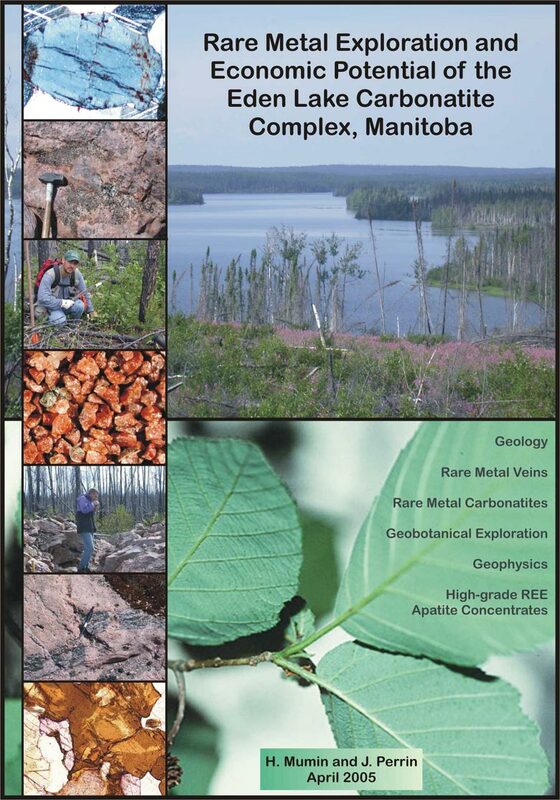 2010 Mumin, A.H.; The Eden Lake Rare Metal (REE, Y, U,Th, Phosphate) Carbonatite Complex, Manitoba, Updated Report. Published on SEDAR, June 2010, 111p. 2010 Mumin, H. and Klein C.; Rare metal distribution in host, mineralized and altered rocks of the Eden Lake Carbonatite Complex, Manitoba. Technical report, February 2010, 86 pp. 2009 Mumin, H., Katsuragi, C., and Perrin, J.; The Eden Lake Rare Metal (REE, Y, U, Th, Phosphate) Carbonatite Complex, Manitoba. Technical report for Medallion Resources, Brandon University, December 2009, 105 pp plus appendices. 2009 Mumin, A.H.; The IOCG-porphyry-epithermal continuum, Great Bear Magmatic Zone, Northwest Territories, Canada. Presentation to Newmont Mining Corporation, August, 2009, Waihi, New Zealand. 2009 Mumin, A.H.; Arctic Eldorado: A history of exploration in the Great Bear Magmatic Zone, Northwest Territories. Talk given to the Kiwanis Club of Bismarck, North Dakota, June 2, 2009. 2008 Jones, B., Mumin, H. and Klein, C.; Microprobe analysis of a Cu-Ag-Au rich sample from the Silver King Mine, British Columbia. June 2008, 9 pp. 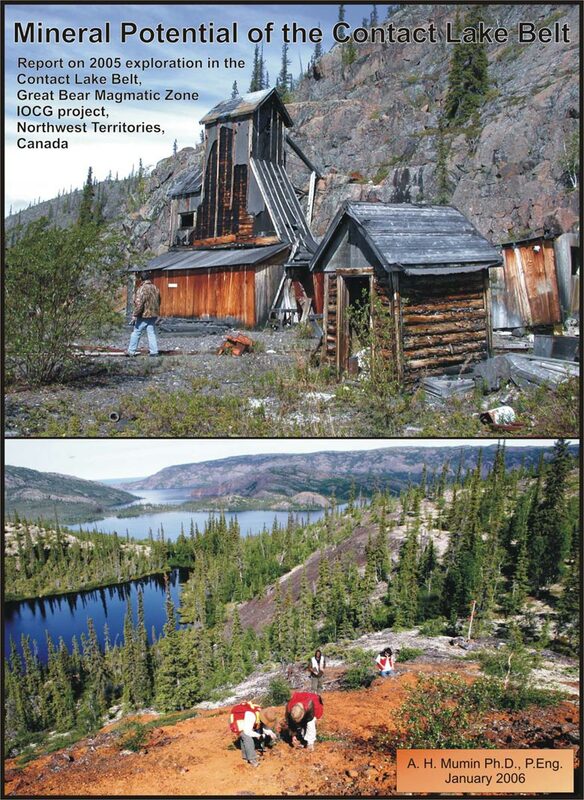 2007 Mumin, H.: Exploration and Development Potential of the Former Silver King Mine Property, Nelson, British Columbia, Canada. October 2007. 2007 Mumin, H.; Open letter to Geoscientists from the President of the Canadian Council of Professional Geoscientists. Published across Canada in various Professional Association magazines and newsletters (available on Mumin BU Geology website). 2006 Mumin, H.; Mineral Potential of the Contact Lake Belt. Technical report for Alberta Star Development Corporation, Vancouver, 233 pp. 2006 Corriveau, L. and Mumin, H.; Iron Oxide Cu-Au-U deposits: a Canadian Perspective. Presentation to the Toronto Geological Discussion Group, Nov. 7, 2006. 2005 Mumin, H.; Geology and Mineralization of the South Bay Rare Metal Pegmatite Complex, Manitoba. Technical report for the Tantalum Mining Company of Canada Limited, Manitoba. 43 pp. 2005 Mumin, H. and Perrin, J.; Rare metal exploration and economic potential of the Eden Lake Carbonatite Complex, Manitoba. Technical report, Brandon University, 140 pp. 2005 Mumin, A.H.; Canadian Council of Professional Geoscientists (CCPG) Directors report. In APEGM Annual Report, 2005 p 16-17. 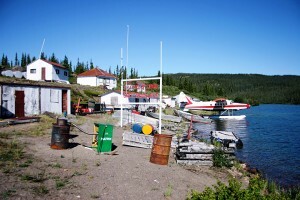 2005 Mumin, H.; Geology and Mineralization of the Echo Bay and Contact Lake Regions, NWT. Presentation to Pacific International, Vancouver, August 2005. 2005 Mumin, A.H.; Manitoba potential for hydrothermal Fe-oxide copper-gold (IOCG) deposits. Presentation to Hudson Bay Exploration and Development Company Limited, Flin Flon, Manitoba, May, 2005. 2004 Mumin, A.H. and Moss, R.; Gold and Silver Mineralization of the Culebrilla Property, Department of Ancash, Peru. Technical report for Strait Gold Corporation, February 2004, 151 pp. 2004 Mumin, A.H.; Manitoba Canadian Council of Professional Geoscientists (CCPG) Directors Report. In The Keystone Professional, APEGM, p. 9. 2003 Allen, T. and Mumin, H.; The nature of Ta-bearing minerals in the Li-mica zone of the TANCO Mine. Technical report for the Tantalum Mining Company of Canada Limited, Manitoba. 36 pp. 2003 Mumin, A.H. and Camier, W.J. 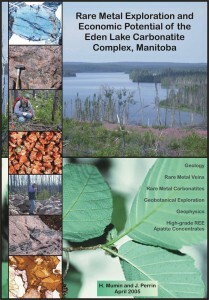 ; Geology and rare earth metal mineralization of the carbonatite complex, Eden Lake, Manitoba. Technical report for Rare Earth Metals Corporation, Vancouver, 82 pp. 2003 Camier, W.J. and Mumin, A.H.; Trenching and sampling of the carbonatite complex, Eden Lake, Manitoba. Technical report for Rare Earth Metals Corporation, Vancouver. 2002 Mumin, A.H.; Fe-oxide breccia-hosted magmatic deposits. Presentation to the Manitoba Geological Survey, Winnipeg, Feb. 6, 2002. 2002 Mumin, A.H.; Geology in the 21st Century. Brandon University Alumni News, p.9. 2002 Mumin, A.H. and Camier, J.; Geology and mineralization of the Island Copper property, Sault Ste. Marie, Ontario. Technical report for Amerigo Resources, Vancouver, 57 pp. 2000 Mumin, A.H., Goad, R.E., Neale, K. and Mulligan, D.L. ; A report on the Geology and Mineral Deposits of the JBG group of claims, Marian River area, Mackenzie (South) District, Northwest Territories, Canada. Technical report for Fortune Minerals Limited, London, Canada. 2000 Camier, W.J. and Mumin, A.H.; Petrographic report of selected rock samples from Riley Township, Island Copper Property, and Copper Corp. mine site. Report, Brandon University. 2000 Mumin, A.H., Goad, R.E, Neale, K.L. and Mulligan, D.L. ; A summary report on the geology and exploration potential of the JBG Group, Mazenod Lake area, Mackenzie (south) District, Northwest Territories, Canada. Technical report for Fortune Minerals Limited, London, Canada, March, 2000. 2000 Mumin, A.H. and Tufts, B.; Geology and mineral resources of the Sue-Dianne Deposit, southern Great Bear Magmatic Zone, Northwest, Territories. Technical report, Brandon University. 1999 Mumin, A.H.; Professional Ethics in Mining and Mineral Exploration: The Geoscience challenge. Abstract and talk presented at the APEGM Professional Development Seminar, Winnipeg, January 1999. 1999 Mumin, A.H.; Lode Gold Deposits: New Insights from the Ashanti Gold Belt, the Carlin Trend and Laboratory Synthesis”. Visiting Speakers Program, Queen’s University, Kingston. 1999 Mumin, A.H.; Contrasting Styles of Olympic Dam type Mineralization in the southern Great Bear Magmatic Zone, Northwest, Territories”. Economic Geology Seminar Series, Queen’s University, Kingston. 1998 Mumin, A.H.; Gold, cobalt, bismuth and copper resources of the NICO property, southern Great Bear Magmatic Zone, Northwest Territories, Canada. Technical report, April 1998, Brandon University. 1998 Mumin, A.H.; Copper, silver and gold resources of the Sue-Dianne deposit, Mazenod Lake area, Mackenzie (South) District, Northwest Territories. Technical report, March, 1998, Brandon University. 1998 Mumin, A.H.; High-grade resources, deep exploration and mining potential of the NICO property, southern Great Bear Magmatic Zone, Northwest Territories, Canada. Technical report, May 1998, Brandon University. -100th Annual General Meeting of the CIM, program with abstracts, Montreal, May 1998. -Keynote address, Central Canada Geological Conference, London, Ontario, February 1998. -Toronto Geological Discussion Group, March 1998. -Vancouver Mineral Exploration Group luncheon, Vancouver, April 1998. -Mineral Exploration Group, Calgary, April 1998. 1997 Mumin, A.H.; A qualifying report on the geology and mineralization of the NICO 1 (F28905), NICO 2 (F28906), NICO 3 (F50933), NICO 4 (F18965), NICO 5 (F18966), NICO 6 (F50155), NICO 7 (F50156), NICO 8 (F50157), NICO 9 (F50158), NICO 10 (F50159), NICO 11 (F51389), NICO 12 (F51390) claims, Marian River area, Mackenzie (South) District, Northwest Territories, Canada. April 1997, Brandon University. Technical report submitted to the Toronto Stock Exchange for Listing. 1997 Mumin, A.H.; Mineral resources of the Bowl Zone Deposit, NICO property, Northwest Territories. Report, March 1997, Brandon University. 1997 Mumin, A.H., Goad, R.E., Camier, W.J., Neale, K. and Mulligan, D.L. ; The Bowl Zone Au-Bi-Co-Cu-W deposit, Northwest Territories. Prospectors and Developers Convention, Core Shack and New Discoveries Around the World, Toronto, March 1997, abstract and display. 1997 Mumin, A.H. and Goad, R.E. ; Discovery of the Bowl Zone: a major polymetallic base and precious metals deposit on the NICO property, Southern Great Bear Magmatic Zone, Northwest Territories, Canada. Vancouver, abstract and display. 1997 Neale, K., Parker, D.S. and Mumin, A.H.; A report on the Geology of the JBG 1 (F51391) and JBG 2 (F51392) grid, Marian River area, Mackenzie (South) District, Northwest Territories, Canada. Fortune Minerals Limited, London, Canada. 1997 Mumin, A.H.; Preliminary evaluation of the gold-bismuth-cobalt-copper-tungsten mineral resources of the Bowl Zone Deposit, NICO property, Northwest Territories. Technical report, January 1997, Brandon University. 1996 Mumin, A.H., Goad, R.E. and Mulligan, D.L. ; A report on the geology of the Emily (F58150), Scott (F58151) and CAT 1 (F58152) claims, Mazenod Lake area, Mackenzie (south) District, Northwest Territories, Canada. 1996 Goad, R.E., Mumin, A.H.and Mulligan, D.L. ; A report on the geology of the CEO (F52741), CEO 1 (F50124), and CEO 2 (F58976) claims, Snare River area, Mackenzie (south) District, Northwest Territories, Canada. Submitted to the Vancouver Stock Exchange for Listing. 1996 Mumin, A.H., Goad, R.E. and Mulligan, D.L. ; A report on the geology of the Treasure (F49508), Island 1 (F51395), Island 2 (F51396), Island 3 (F51397), and Island 4 (F495ll) claims, Marian River area, Mackenzie (South) District, Northwest Territories, Canada. 1996 Goad, R.E., Mumin, A.H.and Mulligan, D.L. ; A report on the geology of the JBG 1 (F51391), JBG 2 (F51392), JBG 3 (F51393), JBG 4 (F49161), JBG 5 (F49159), JBG 6 (F49101), & JBG 7 (F59226), claims, Marian River area, Mackenzie (South) District, Northwest Territories, Canada. 1995 Mumin, A.H., Goad, R.E. and Mulligan, D.L. ; A qualifying report on the geology of the MR 26 (F39198), MR 27 (F39199), MR 54 (F39325), MR 86 (F39350), MR 87 (F39351), MR 137 (F41833), HIS 1 (F36820), and LB 8 (F38606) claims, Mazenod Lake area, Mackenzie (South) District, Northwest Territories, Canada. Submitted to the Vancouver Stock Exchange for Listing. 1995 Goad, R.E., Webb, D.R. and Mumin, A.H.; A report on the geological mapping of the NICO 1 and 2 claims (F28905 and F28906), Marian River area, District of Mackenzie, N.W.T. Assessment Report, NWT. 1995 Mumin, A.H. and Fleet, M.E. ; Preliminary report on the nature and distribution of sub-microscopic gold in sulfide and arsenide minerals from the Gold Quarry, Carlin, Genesis, West Genesis, North Star and Deep Star deposits, Newmont Gold, Carlin Trend, Nevada. Report for Newmont Gold Mining Ltd.
1994 Mumin, A.H.; Early Proterozoic Gold Mineralization of the Bogosu and Prestea Districts of the Ashanti Gold Belt, Ghana, West Africa. Ph.D. thesis, University of Western Ontario. 1992 Mumin, A.H.; Regional controls on Massive sulphide deposition in the Sturgeon Lake volcanic pile, Northwestern Ontario. Presentation to the Geological Association of Canada, Winnipeg Section and the University of Manitoba, Winnipeg, October 1992. 1992 Mumin, A.H.; The Ashanti Gold Belt, Ghana. Presentation to the Geological Association of Canada, Winnipeg Section and the University of Manitoba, Winnipeg, October 1992. 1988 Mumin, A.H.; Tectonic and structural controls on massive sulphide deposition in the South Sturgeon Lake volcanic pile, Northwestern Ontario (part one), and Hydrothermally altered rocks associated with the Lyon Lake, Archean, volcanogenic massive sulphide ore deposits, Sturgeon Lake, Northwestern Ontario (part two). M.A.Sc. thesis, University of Toronto. 1986 Mumin, A.H.; Ore potential of the Mattabi-”F” Group horizon, Sturgeon Lake, Northwestern Ontario. University of Toronto technical report for Mattabi Mines Ltd.
1984 Mumin, A.H.; Alteration beneath the Lyon Lake Archean, volcanogenic massive sulphide ore deposits, Northwestern Ontario. B.A.Sc. thesis, Division of Geo-Engineering, University of Toronto.